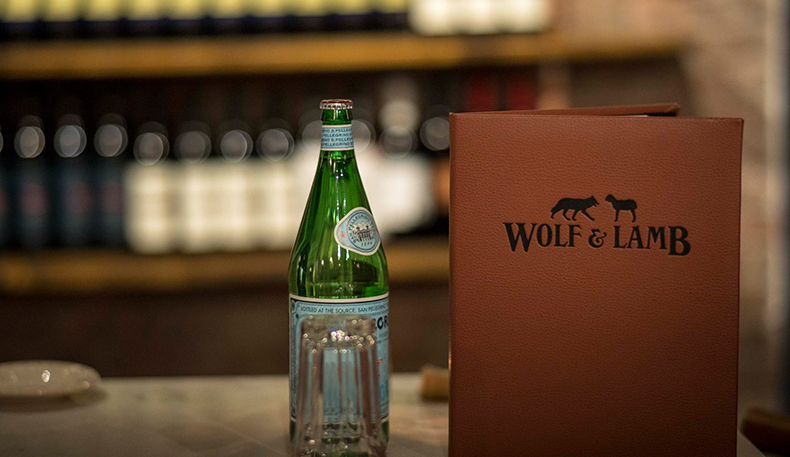 � How was your last visit to Wolf & Lamb Steakhouse NYC? 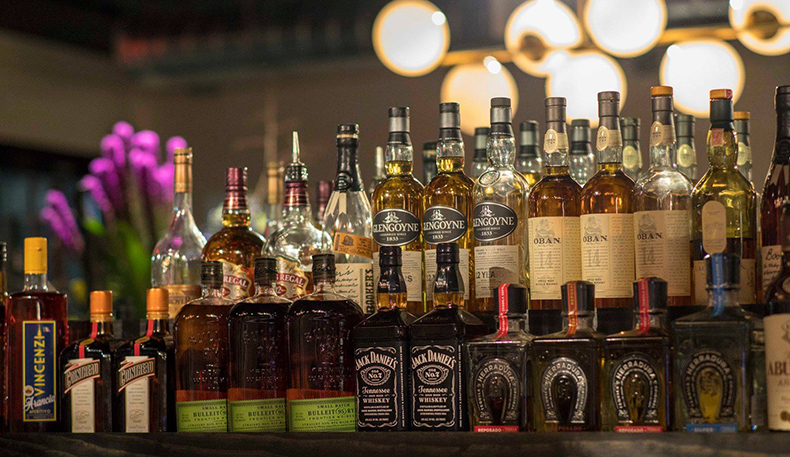 Located in the heart of the Diamond and Hotel districts, Wolf & Lamb Steakhouse is an established and impressive restaurant. It is a great find for tourists and the perfect place for business meetings and corporate events. 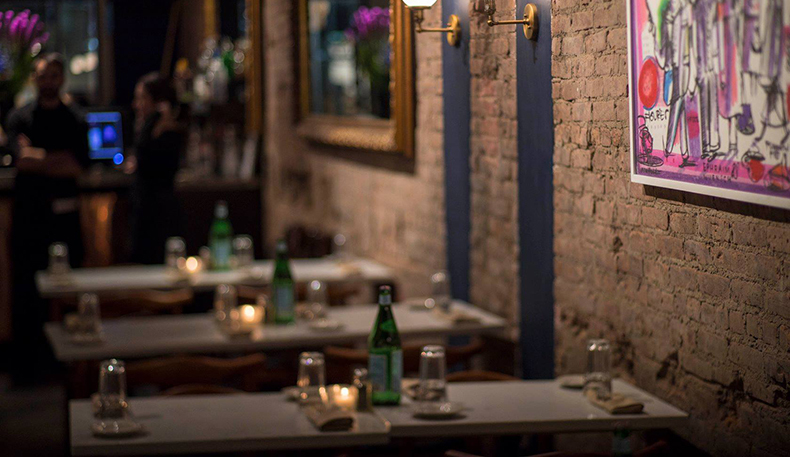 Alluringly lit with exposed brick and gilded mirrors, the aroma of grilled meats and the sounds of smooth Jazz greets you at the door. 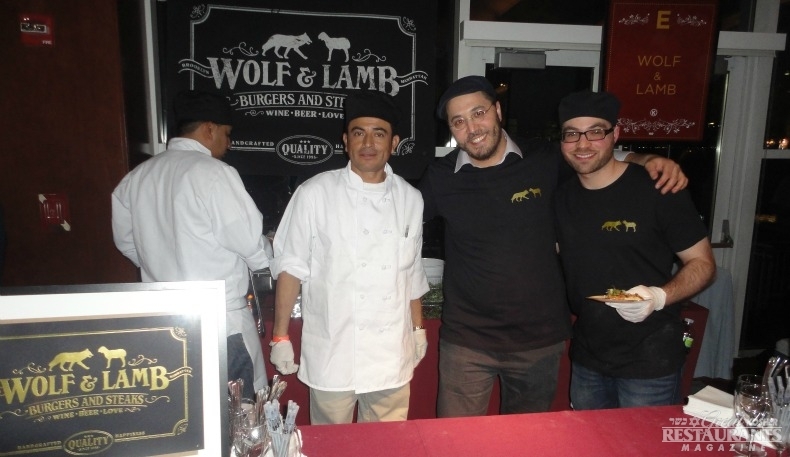 Wolf and Lamb's experienced culinary team is led by the talented Chef Luis Escamilla. Presenting a menu of classic dishes, as well as dishes highlighting seasonal flavors reinterpreted with a fresh perspective, Luis leads with a fierce passion for food and hospitality. He is constantly reimagining classics with his unique unparalleled style. 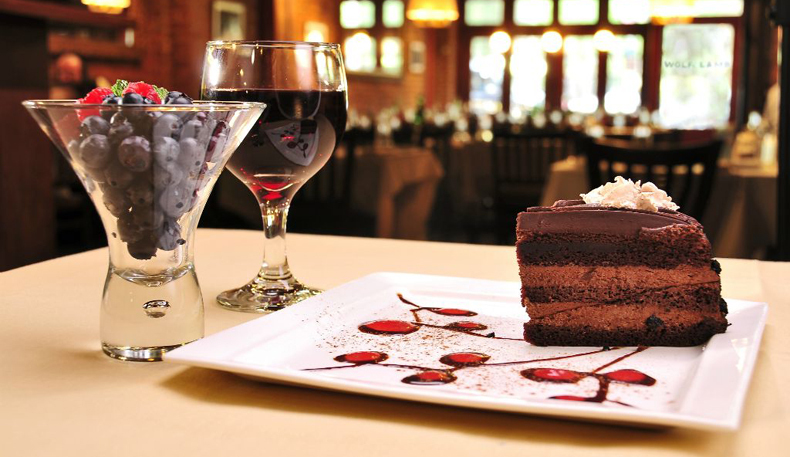 Pastry Chef Marco Alejos, formerly of Tavern on the Green, artfully prepares decadent desserts including fantastic seasonal cakes, tarts and pastries for in house dining as well as special order delivery and catering. 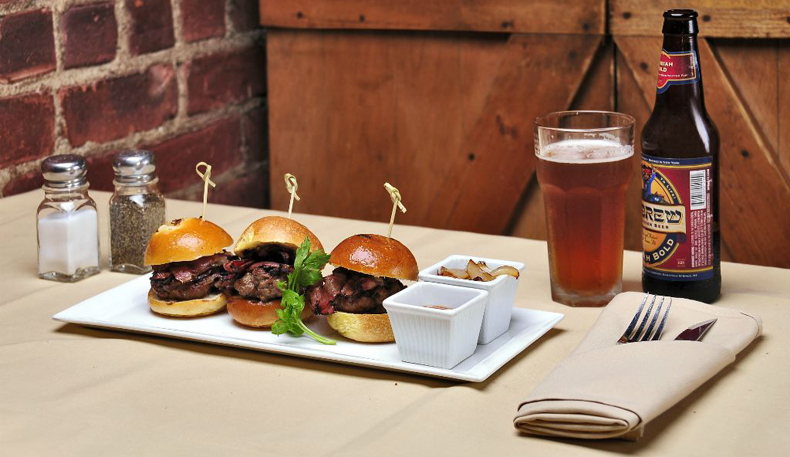 For starters, Veal Sliders is an exceptional choice. If you're in the mood for salads, they have five different kinds to choose from, some featuring steak, salmon and grilled chicken. All their steaks are butchered in house and their cold cuts are made on premises. The Pepper Crusted Filet Mignon and the Asparagus & Mushroom Stuffed Chicken Breast are exceptional. The Veal Chop in demi glace also demands your attention. The service is genuine and friendly and the restaurant is always neat and impeccable. The restaurant supports the holistic view of hospitality, namely that great food does not suffice to provide a superb dining experience. Great music, wine and genuine service are just as important. With this in mind Wolf & Lamb offers laid back wine tasting events as well as regular Live Jazz Events. These programs make the restaurant not just a great place to eat but a true haven of relaxation and pleasure. Wolf & Lamb also offers extensive catering options attracting a loyal following of corporate accounts which rely on them for flawless corporate luncheons and special events. Their catering department prides themselves on focused attentive service and consistently fresh and well presented food. 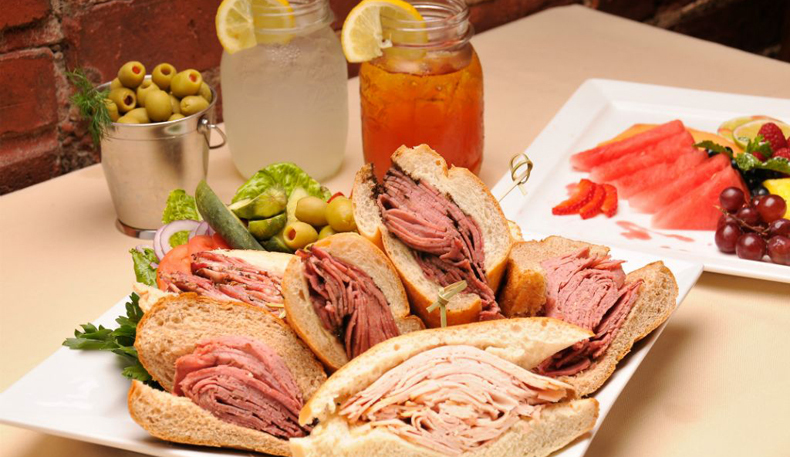 JV Restaurant Review by Jewish Voice on Wednesday, September 28, 2011 at 11:01am By Daniel and Penina Perez Located in the heart of Midtown Manhattan (just steps away from Rockefeller Center), Wolf & Lamb presents itself as a deli and steakhouse. 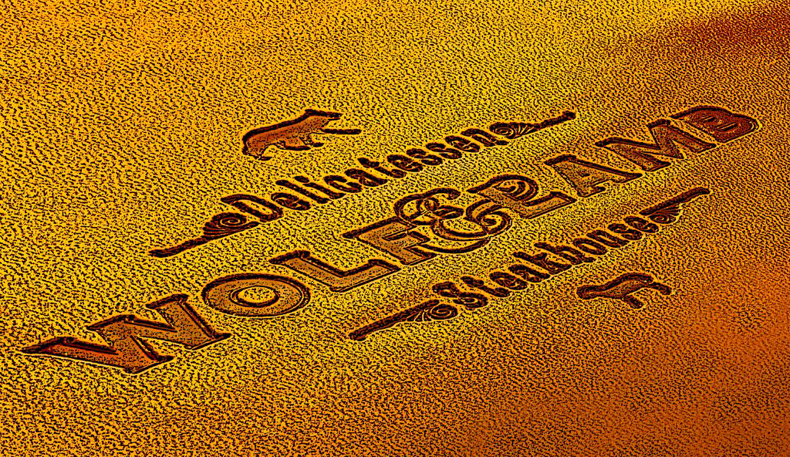 But calling Wolf & Lamb a deli/steakhouse is like referring to the Smithsonian as a “museum.” In other words, yes, it’s technically accurate; it just fails to adequately capture the enormity of the experience of going there. Entering the restaurant, we were impressed by the décor, perhaps best described as sophisticated urban casual. With exposed brick walls and a high ceiling, fans and visible ventilation ducts gave it the feel of a high-end residential loft. The black and white photos of happy customers made the restaurant feel more relaxed and down to earth than one might expect at a high-end eatery. For our first course, we ordered chicken tenders wrapped in pastrami, and for contrast, a little tuna tartare. The former was doused in a delightfully piquant and tangy barbecue sauce (made in-house, of course). It dazzles the tongue without overpowering, though the spiciness does linger for a bit. The latter, served with fresh veggies and a horseradish-based sauce, was just the opposite: cool and refreshing. It was like sashimi, re-imagined with more of a Continental sensibility. As a general rule, I don’t go looking for fish in a steakhouse, but if you wind up here on a business meeting, and you’re not too keen on red meat, this may be just the thing for you. To wash it down, we had bottle of hefeweizen (wheat beer); “Weihenstephaner,” I think it was called, but don’t quote me, or ask me to pronounce it. In any case, we noticed that the Wolf & Lamb does not have a liquor/cocktail menu. They make up for it with an excellent selection of beer and wine (all the more impressive for those of us familiar with the dismal lack of variety that plagues the kosher dining scene). Of course, if you’re ordering a steak and want anything other than a pint of ale, or a good hearty red to drink with it, odds are there’s something lacking with the steak. That was not the case here. Between the appetizer and the main event, we tried the W&L Signature Salad. Cool, crisp vegetables, succulent marinated chicken, all tossed in a delicate vinaigrette. Penina describes the salad as “light and summery,” the kind of thing you’d like to have at an afternoon picnic. What we really noticed, though, were the chickpeas. We’ve tried them boiled, we’ve had them blended into hummous, we’ve eaten them dry-roasted, like peanuts. Here, they were fried, acting as little round croutons—delicious, and at the risk of sounding childish, kind of fun to eat. Okay, enough with the vegetables. 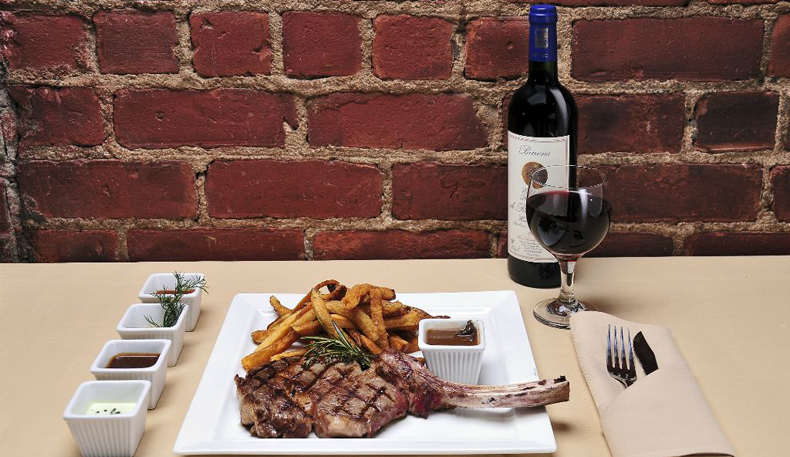 Since you’re reading this review of the Wolf & Lamb, you’re waiting for one thing: meat. For the main course, I ordered the aged ribeye (medium rare) and a glass of Merlot, both recommended by the waiter. Penina had the rack of lamb (medium). The Wolf & Lamb’s 28-Day Dry Aged Ribeye. They should have sent…a poet. 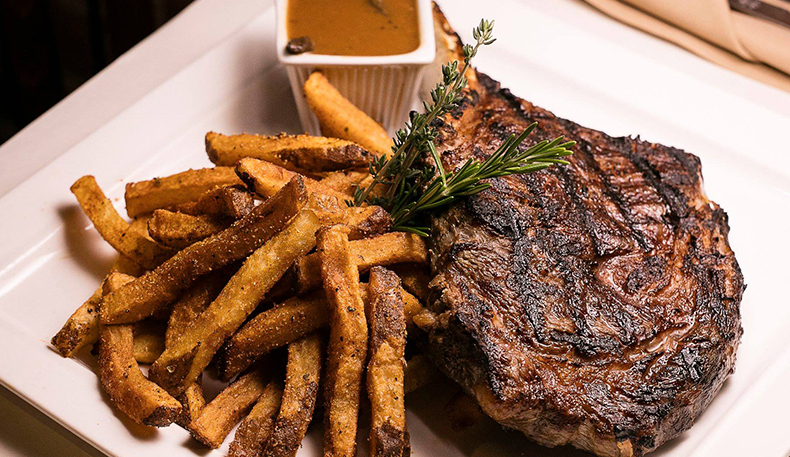 The Wolf & Lamb’s 28 day dry aged rib-eye is kosher in two ways: First, it is under the hashgacha of the OK, which certifies the meat as glatt kosher (Chassidishe shechita, no less). But in a more esoteric sense, for us at least, the ribeye offers proof of the existence of a benevolent and loving G-d. We encourage the reader to go and see for themselves (not as a test of faith, mind you, but as a test of how flavorful, how perfect a steak can be). Upon taking our first bite two of our five senses immediately shut down. I was either struck temporarily deaf and blind by the sheer magnitude of the steak’s aroma and flavor, or the rest of the universe simply faded away in its presence. Either explanation strikes Penina and me as equally feasible. For those unfamiliar with the dry aging process used for high-end steaks (I have to confess, this was our first), allow us (with a little help from Wikipedia) to fill you in. Dry-aged beef is beef that has been hung to dry for several weeks—about a month, in the case of the W&L ribeye. After shechita, the meat is cleaned, and parts are placed in a cooler (also known, rather counter- intuitively, as a “hot box”). This process involves considerable expense, as the beef must be stored near freezing temperatures. Also, only the higher grades of meat can be dry aged, as the process requires meat with a large, evenly distributed fat content. For these reasons one seldom sees dry-aged beef outside of steak restaurants and upscale butcher shops. This process has two main effects. One is that natural enzymes contained within the meat break down connective tissue. The result: A softer, more tender steak. The other (and this is our favorite) is that moisture is evaporated from the meat, leading to a greater concentration of the beef’s natural flavor. 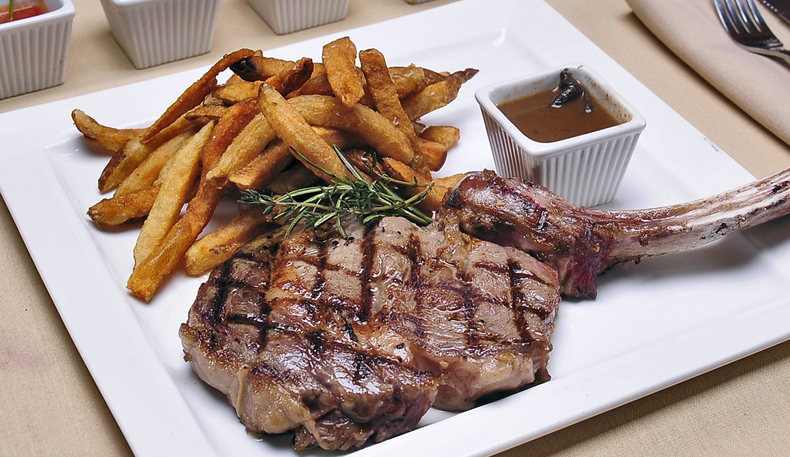 In other words, it’s the kind of steak that, when you cut into it, isn’t dripping with juices, but rather the taste of the steak, the essential “steakiness,” if you will, is amplified to levels that will make your tastebuds do a happy little dance. Also, I ordered the 12 oz. “medium” steak, but that size probably indicates the weight post-aging. In other words, it was essentially a pound of steak in a condensed package. The lamb was also quite impressive. Not as life-altering as the steak, but to be fair, that’s a pretty tough act to follow. We also found it to be a little salty, perhaps to counteract the natural gaminess of the meat, but certainly worth ordering again. The chocolate mousse pie, complete with chocolate shavings, and Oreo cookie crust, and yes, those are caramelized banana slices. 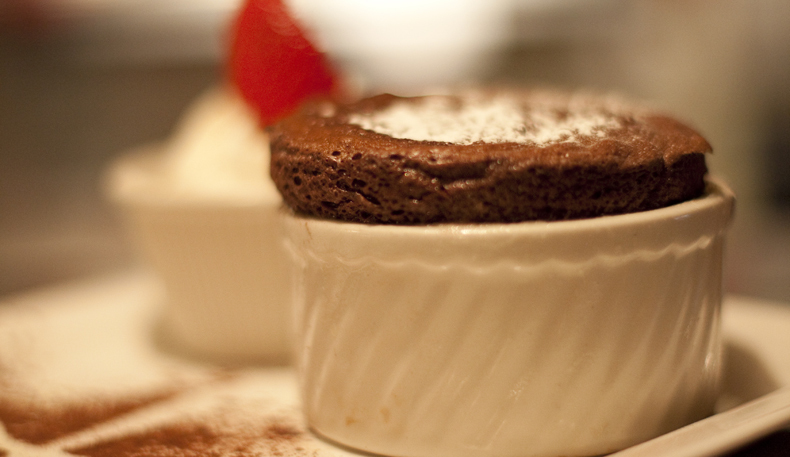 Our heads still spinning from the crescendo of flavor that reached its peak with the steak and lamb, we ordered desserts – a chocolate soufflé and an apple bread pudding, which turned out to be the perfect end for a perfect meal. I couldn’t recommend one over the other (Penina recommends the chocolate), as it’s really a matter of personal preference. The desserts offerings at Wolf & Lamb are, simply put, the finest possibly examples of those dishes, made all the more amazing for their (nearly) undetectable absence of dairy products. Pictured above: Genius The meal we had at Wolf & Lamb was so good we insisted on meeting the chef, just so we could shake his hand. It turns out the chef, Daniel Espinoza, perfected his craft in the mid-1990’s at Manhattan’s Brasserie Les Halles (a “brasserie” is the French word for an unpretentious restaurant specializing in simple, hearty dishes; a term that ironically strikes us as needlessly pretentious), which is the culinary home base of celebrity chef Anthony Bourdain. 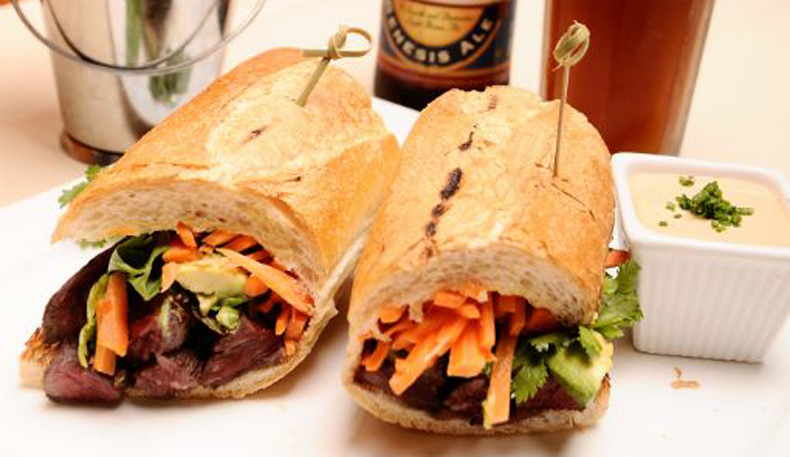 For those of you who have an itch that your neighborhood deli can’t scratch, we heartily recommend the Wolf & Lamb Steakhouse. 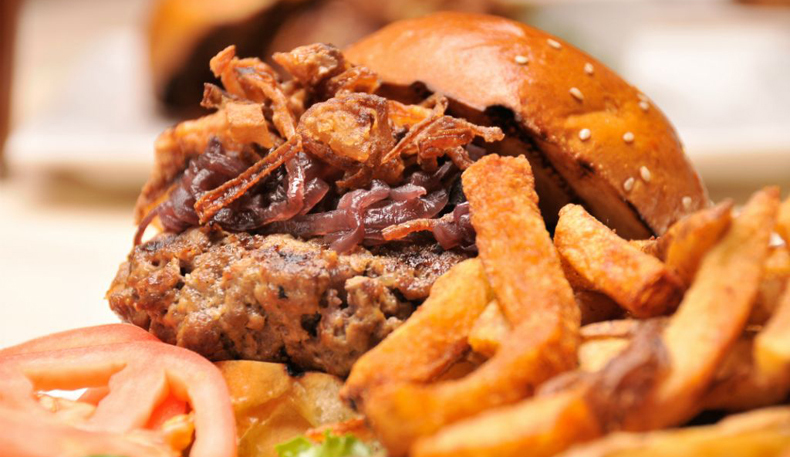 With the choicest meats, butchered on site, it’s a kosher carnivore’s dream come true.